Have you ever asked that question only to find out, yes, things can get worse? It’s in these times that the light of Jesus can lead us to new openings or fresh perspective. For a while, our boys were able to refuse to acknowledge the false image and remain unnoticed. When the music played, they didn’t bow — and no one seemed to care. But soon a group of astrologers known for their fortune-telling practices came forward and brought charges against the Jews. These astrologers may well have been jealous of the young Jews’ position in the king’s court, so they used tattling to try to get rid of them. At this time some astrologers came forward and denounced the Jews. They said to King Nebuchadnezzar, “May the king live forever! Your Majesty has issued a decree . . . But there are some Jews whom you have set over the affairs of the province of Babylon — Shadrach, Meshach and Abednego — who pay no attention to you, Your Majesty. They neither serve your gods nor worship the image of gold you have set up” (Daniel 3:8 – 10, 12). This tattle sent the king into a wild rage as he brought the three men before him for questioning. Up until now their customs and faith had been relatively safe, hidden away in a spiritual safe deposit box that few had access to. But now that the box had been opened, everyone would see its contents, and the king would be forced to face the staunch verdict he had imposed. 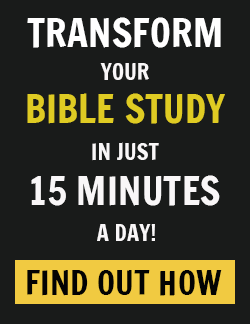 When Shadrach, Meshach, and Abednego watched the king’s furious reaction to their refusal to bow to his god, they responded with settled belief. No matter what threats he screamed or what facial expressions he flaunted, they responded with calm resolve. “Shadrach, Meshach and Abednego replied to him, ‘King Nebuchadnezzar, we do not need to defend ourselves before you in this matter. If we are thrown into the blazing furnace, the God we serve is able to deliver us from it, and he will deliver us from Your Majesty’s hand. 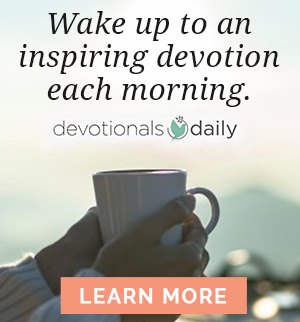 But even if he does not, we want you to know, Your Majesty, that we will not serve your gods or worship the image of gold you have set up’” (Daniel 3:16 – 18). In the face of fury, these three young men utter some of the most powerful words in the Bible. They say, “Our God can deliver us — but even if he chooses not to, he’s still God!” Only those who have entered into settled belief have the courage and maturity to make a statement like that — and then risk their lives for its truth. 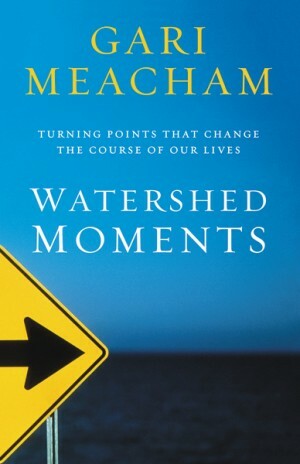 This is their moment, their watershed, that overcomes that which has tried to overcome them. When you come to this point in your faith, you’re on your way to the golden prize of maturity — surrender. This type of surrender isn’t weak, and it’s definitely not a fatalistic throwing in the towel. On the contrary, this surrender is the same strength that carried Jesus to the cross. To say that King Nebuchadnezzar was insulted by the settled belief of these three young men is an understatement. He was so angry that he made his servants heat up the furnace seven times hotter than usual and called in the strongest men in his army to tie them up and throw them into the flames. Fully clothed, and with ropes dangling from their hands and feet, Shadrach, Meshach, and Abednego were pushed into the flames. The furnace was so hot that it devoured the soldiers who had thrown them in! Shadrach, Meshach, and Abednego began with disbelief as they looked at the cruel circumstances that defined their lives. They moved to settled belief when they chose to stand against the evil, no matter the cost. Then they entered the final stage in battling evil, a stage that is fresh and surprising when you’ve been knocked down by evil’s blows — new belief. 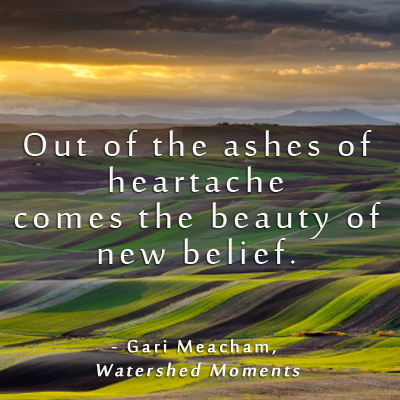 Ironically, out of the ashes of heartache comes the beauty of new belief. Out of the worst kind of tragedy, we experienced a watershed moment. It started like a small hush, the kind you can’t even acknowledge when you’re weighed down with anger and grief. But soon the fellowship of sorrow gave way to light, and new belief began to blossom like the buds of spring. This must be what Paul meant when he wrote, “Do not be overcome by evil, but overcome evil with good” (Romans 12:21). It’s the tender moment when you realize that what was meant to harm you has actually strengthened you. Out of the ashes comes new belief. Has your faith resulted in a complete surrender and trust in God? Have you experienced trials or persecution for your faith that has strengthened your belief in God? We would love to hear your stories of faith! Please share your comments on our blog!